Dr. Gregory McKenna loves creating smiles. His passion for orthodontics began as a child, as he watched his grandfather emerge as one of the leading orthodontists of his time. 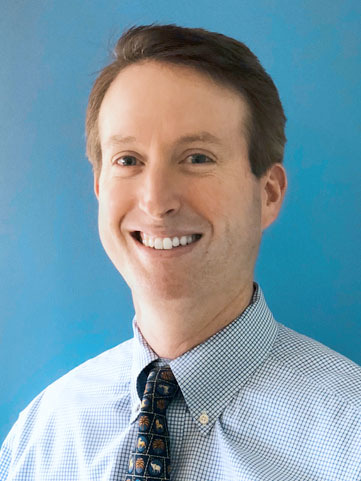 Dr. McKenna continued the family tradition and became one of fourteen orthodontists in the McKenna family after graduating from the UConn School of Dental Medicine in 1996 and the UConn School of Orthodontics in 1999. Dr. McKenna’s warm and friendly office and staff reflect his commitment to family tradition and excellence. Dr. McKenna not only devotes his care toward the Greater Danbury area, but also toward the betterment of the orthodontic community. He traveled to the Dominican Republic to provide his exceptional care to those less fortunate. He is published in the American Journal of Orthodontics and contributed research to the National Institutes of Health. He is a member of the American Association of Orthodontics in New England, the Northeast Orthodontics Society, and the Connecticut State Dental Association (CDSA). As a part of the New-Conn Study group, Dr. McKenna strives to continue his own education and educate his fellow professionals in the orthodontic community. He is one of few orthodontists in the area to offer cutting-edge technology such as the Wilckodontics® procedure and the cone beam 3D CT scan. Outside of the office, Dr. McKenna enjoys spending time with his wife and three kids. He enjoys playing tennis and coaching his kids in various sports.